Maybe the most challenging part of retail pharmacy for new pharmacists or technicians is understanding billing issues related to insurance plans. For pharmacists working in other settings such as hospital or long-term care, this issue is virtually irrelevant. The hospital pharmacist has plenty of his/her own unique problems to manage, but this isn’t one of them. But for those in retail, understanding insurance-related issues is not optional. And maybe one of the most frequent challenges for the new pharmacist or technician is just understanding the distinction between the Federal government-funded programs which pay for prescriptions medications, namely Medicare B and Medicare D.
This post is intended to be a quick pharmacy-focused explanation of these 2 programs. You can easily turn to Wikipedia for detailed information about the history of each of these. My goal is to tell you a few things especially relevant to these plans as they are used in the daily pharmacy operation. Note: I cannot tell you how to actually enter in the plan information in your particular software system. Each software vendor has their own method for adding these plans to a patient’s profile. Medicare B is a Federal program offered to U.S. citizens aged 65 and over (also available to disabled patients). Generally speaking, Medicare B covers outpatient services (doctor’s visits, lab work). Medicare A covers hospital services. In addition to outpatient services, there are a limited number of prescription and supplies that Medicare B covers. It is these items that retail pharmacy employees have to be aware of, because often they will NOT be covered by other plans (namely Medicare D or Medicaid) if they could have been billed to Medicare B. Covered Items: What is covered under Medicare B? Some of the most frequently encountered Medicare B drugs and supplies are inhaled nebulizer solutions (like albuterol nebulizer solution), oral immunosuppressant drugs (like azathioprine or cyclosporine), immunizations (like the flu shot) and diabetic testing supplies (like blood glucose meters, strips and lancets). There are other covered items as well, including some durable medical equipment that may be ordered by your doctor. For a more comprehensive list, CLICK HERE. 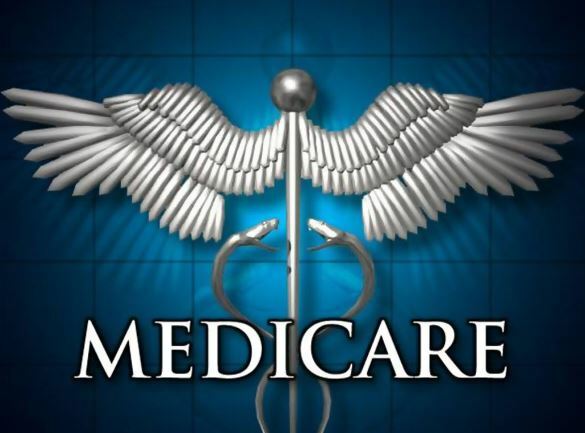 If you try to bill a drug to Medicare D that should be covered by Medicare B, you will typically get a rejection at the pharmacy stating something like “Not covered, may be Medicare B covered.” That is your clue to try and bill Medicare B. Card: If a patient has Medicare B they will have a “card” which is actually the same as the Medicare A card. It is a paper card and it is white with a red and blue stripe near the top. Just go to Google Images and type in “Medicare B Card” to see what it looks like. Once received, this card will always be the same for the patient. They do not get a new one each year. Note: Not all patients who are 65 and older have Medicare B. It is optional, though most seem to elect to take it. TIP: For diabetic supplies, Medicare B will require the pharmacy to obtain the specific diagnosis code (e.g. 250.00) for the patient’s type of diabetes. This is because the amount of covered supplies varies depending on if the patient is Type 1 or Type 2. This diagnosis code will usually have to be entered in the claim transmission software. It also must usually be written on the prescription itself. Note: Not ALL pharmacies take Medicare B. Almost all the major pharmacy chains will take it, but smaller pharmacy chains and some independent pharmacies may not take Medicare B. The costs involved in applying for and maintaining your Medicare B contract are not worth it for some pharmacies. Medicare D is also a Federal program, but it is administered by local insurance plans. Like Medicare B, it is optional and available to patients 65 years and older (or disabled). Unlike Medicare B, the Medicare D program is specifically for prescription drugs and has only been available since 2003. Also, unlike Medicare B in which all patients have the same card and same benefit, Medicare D offers a variety of plans to choose from and may be changed every year by the patient. This is important! A patient enrolled in Medicare D can switch their plan every year and will therefore be issued a new card every year if they switch plans. Covered Items: Medicare D covers virtually all prescription drugs with some exclusions. For example, if you try to submit a prescription to Medicare D for a prescribed vitamin or cough medicine, it is likely to get rejected. There are also a few other things they don’t cover (e.g. drugs for infertility or erectile dysfunction like Viagra). When a patient receives a prescription for a non-covered medication, they will usually have to pay out-of-pocket for this medicine. The Card: What does a Medicare D card look like? As I mentioned, there are a lot of different Medicare D options for patients. Each insurance provider will issue their own unique card. It will typically be a hard plastic card, and have the usual processing information needed by the pharmacy (i.e. BIN number, PCN number, Group number and ID number). Plans: Want to know what Medicare D plans are available in YOUR state? Just go HERE and click on your state. TIP: Most pharmacy software systems today have the ability to SEARCH for a patient’s Medicare D coverage by social security number. In other words, if your patient does NOT have their card on them, you can search with their social security number to obtain the correct processing information. This is a VERY valuable tool for the pharmacy and you should know how to use it. Note: Why would a patient pick one Medicare D plan over another? Medicare D plans will differ from each other in several ways, and patients can go online to research which plan will be the best value for them. Some examples of the way in which Medicare D plans will differ include the monthly premium, the deductible, the copay structure and the formulary of covered drugs. New Year: Since a patient can switch their Medicare D plan once annually (enrollment usually begins in October for the next year), pharmacies have come to expect that starting January 1 many patients will have a new card each year. Hopefully they remember to bring it, but if not, remember the TIP above. DONUT HOLE: Finally, no discussion of Medicare D is complete without mentioning the infamous “donut hole.” What is that? Also known as the “coverage gap” this is the dollar amount at which the Medicare D coverage changes. Once a patient has used about $3,000 (meaning the total cost of covered drugs that year, not their copays) they enter the “donut hole.” At this point they will pay more, usually a discounted price for each of their drugs. If Mrs. Jones reaches her coverage limit and enters the “donut hole” then when the pharmacy submits her prescription claim, it may come back with a higher copay than usual. Patients remain in this “donut hole” until they have spent about $4,700 out of their own pockets for covered prescription drugs that year. The pharmacy does not keep track of this. It is all tracked by the Medicare D plan. Once the patient has spent $4,700 then the patient has gotten out of the “donut hole” and has good coverage again, typically a small copay for any future prescriptions needed that year. That is a quick overview of these 2 plans. Remember: Medicare B covers SOME drugs and diabetic testing supplies. Medicare D covers MOST prescription drugs (and even some prescribed OTC drugs depending on the plan). Everyone has the same-looking Medicare B card (paper). Medicare D card (hard, plastic, like a credit card) appearance will change depending on which plan they enrolled in, and may look different every year. The pharmacy does not have to figure out the copays or deductibles for any of these plans. We submit the claim online and the provider instantly provides the pharmacy with the patient copay required. Was this helpful? Let me know by commenting below! Also, feel free to ask any other questions below! Jason – Nice post. This is likely an area where most pharmacists could use a basic overview as it’s becoming increasingly complex. Another group of medications that default to Part B are oral antineoplastics that also have an injectable/infused formulation. Examples would include capecitabine (prodrugs count too) and temozolomide. Regarding Medicare Part D…While enacted in 2003, it’s only been available since 2006. As for covered items – The Plan Sponsor will have a formulary and certainly drugs can be placed non-formulary which might impede access. It’s also important to note that manufacturers of branded medications must be classified as a “participating manufacturer” by CMS. This essentially means that they agree to pay their portion during the coverage gap. There are some medications that fall into this bucket and it’s not the fault of the plan sponsor when they come back rejected. The benefit design for Part D plans can vary widely depending on the geography of the beneficiary. In markets where competition is high (Florida for instance), plan sponsors will enhance benefits to attract membership. It’s not uncommon for some Part D plans to offer some type of additional coverage in the “Donut Hole” and some will cover ED medications. In 2011, the concept of preferred pharmacy networks became popular among some of the larger Part D plans. That is another important consideration when someone is picking a plan. If a potential beneficiary wants to continue using their current pharmacy it would be important for them to consider this during open enrollment. If they are open to switching pharmacies and are more sensitive to costs, they might consider a plan with a preferred pharmacy network. By design, if someone uses a non-preferred pharmacy there will be financial penalties – so you want to avoid those when possible. The Donut Hole can be tricky. You really have to understand who (patient, manufacturer, plan sponsor or CMS) is paying for what and how much counts toward the out of pocket costs for the patient – because the math and out of pocket responsibilities are wildly different in some cases depending on whether a brand or generic is being filled. As an example, while in the coverage gap, branded drugs can be cheaper to the patient and get them “through” the Donut Hole faster. It’s one of the unfortunate limitations of an otherwise good benefit structure. Hope this helps…As always, thanks for your posts and continuing to improve the profession. million Americans and is a database of over 475 different programs. help you access the information you need to get the assistance you require. assistance using our ‘Get Help Now’ tool. national, state and local organizations have joined forces with the PPA. 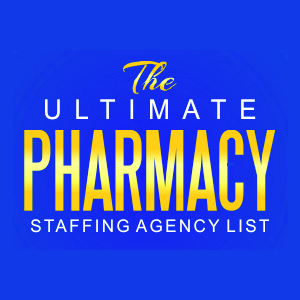 How Long Should You Stay at Your Pharmacy Job?